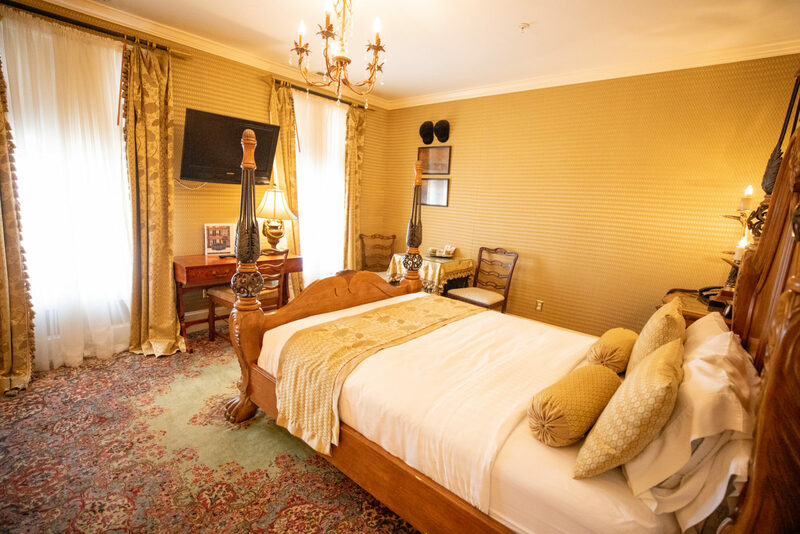 The Equestrian Room is an accessible second-floor room with city views. The tall ceiling and green diamond-patterned fabric walls with matching striped drapes hung on rods with arrow and plume keep with the hunt theme of this charming room. Arrow & plume sconces above the white marble fireplace and a crystal chandelier add elegance. The bedroom offers a queen-sized bed. 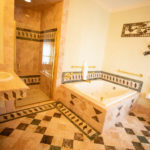 The large bathroom with intricate cut marble Roman pattern in pastel shades features a double whirlpool tub and separate shower with built-in seat. 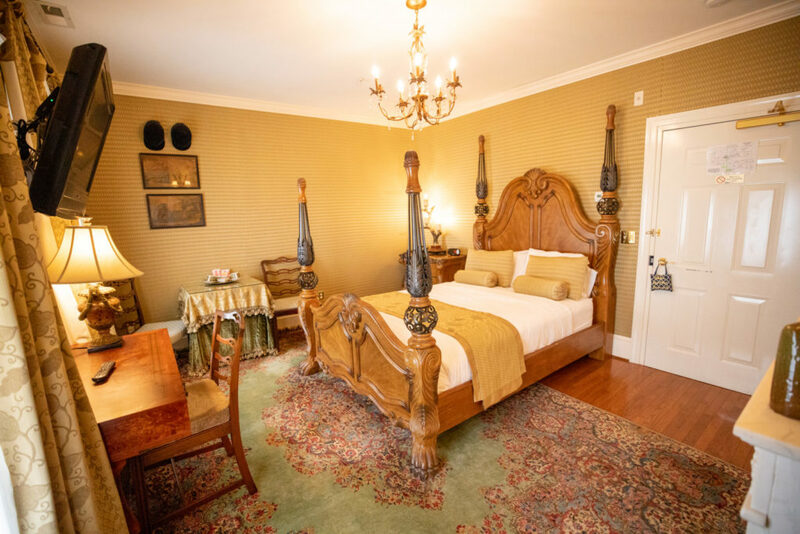 The name of each of the Carrollton Inn’s thirteen rooms and suites was inspired by a facet of the life of Charles Carroll of Carrollton, the original owner of the neighboring Carroll Mansion. Charles Carroll of Carrollton bred, sold and traded horses. A member of the Jockey Club, Carroll was the breeder of Marius, a noted chestnut racehorse that improved the bloodlines of Maryland horses. He rode horses every day of his life & even in his 80’s continued to ride his favorite stallion, stabled in the yard behind the Carroll Mansion, often riding to the City Spring at Calvert and Saratoga. 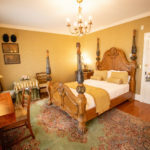 All rooms include a full gourmet breakfast, cable, refrigerator, microwave, complimentary beverages, plush robes, and high-speed Internet access. 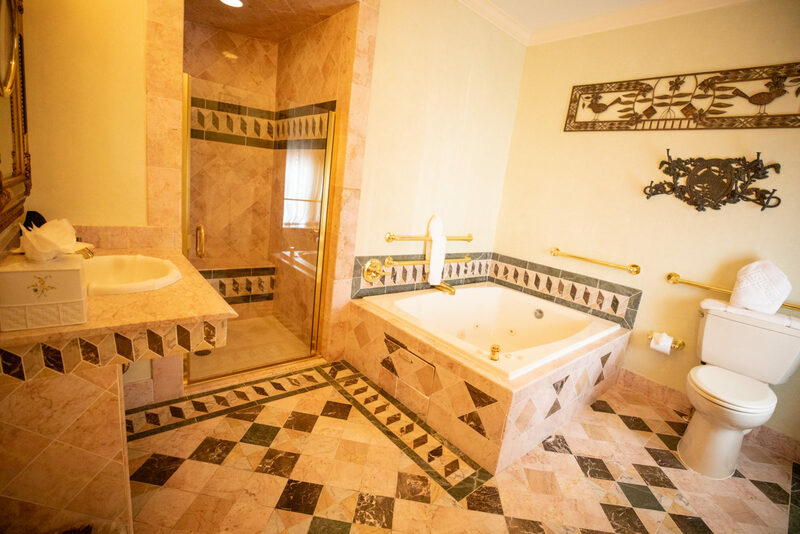 All rooms are non-smoking ($250 fine). 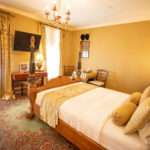 All rooms are based on double occupancy. All room rates are subject to change.